W.I.P. Wednesday : Meow! Halloween Kitties! Let’s just pretend it’s Wednesday, ok? Great! This is one of those too-easy-to-publish crafts, but the fact of the matter is that sometimes we forget that simple can be cute and fun. It’s two-dimensional, so there’s not messing with gussets – just cut two matching pieces of fabric and sew them together. Ta-da! 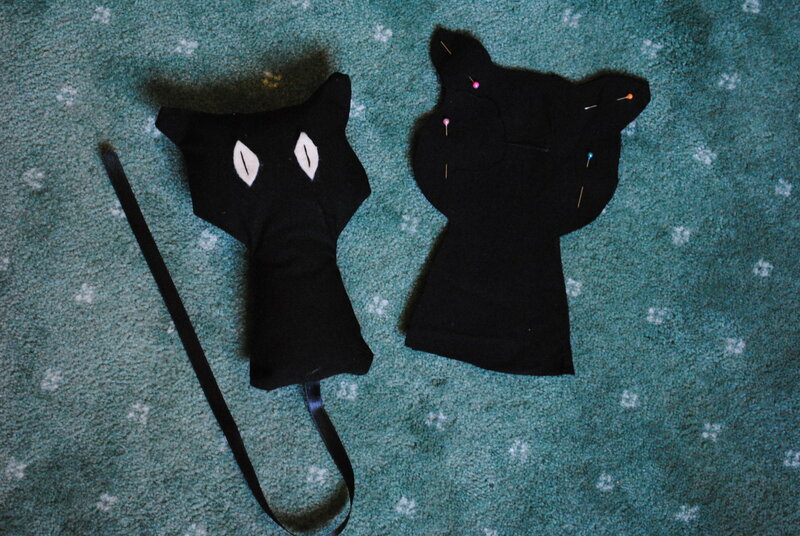 Guppy and I sat down to make some Halloween Black Cats together, and the entire project took about 45 minutes from start to finish, meaning : finding the fabric, drawing a template, cutting fabric and stitching up. If there hadn’t been interruptions like the telephone ringing, taking the dog out and gluing more googly eyes on yet even more Halloween Felties, it could have been done in an easy 15 to 30 minutes, depending on how many Halloween Kitties you wanted to make. I just drew a basic silhouette of a kitty head, and used a simple ribbon for the tail. 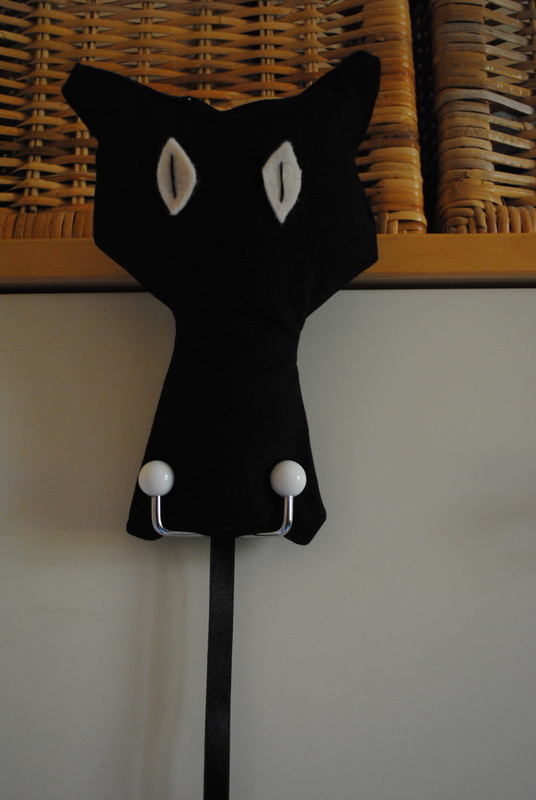 I cut out diamond eyes from felt, but you could embroider yours – or get more elaborate with a nose, mouth and whiskers. Your Halloween Kitty needs a Kitty friend! Make many! There’s still time to whip up a few Halloween decorations! Do you have any new W.I.P.s in the works? We would love to see what you’re up to! Snap a shot of your “in progress” masterpiece and add it to the W.I.P. Wednesday Flickr Pool. Whatever your works-in-progress, have a crafty week, and don’t forget to see what the other Wipsters are working on.